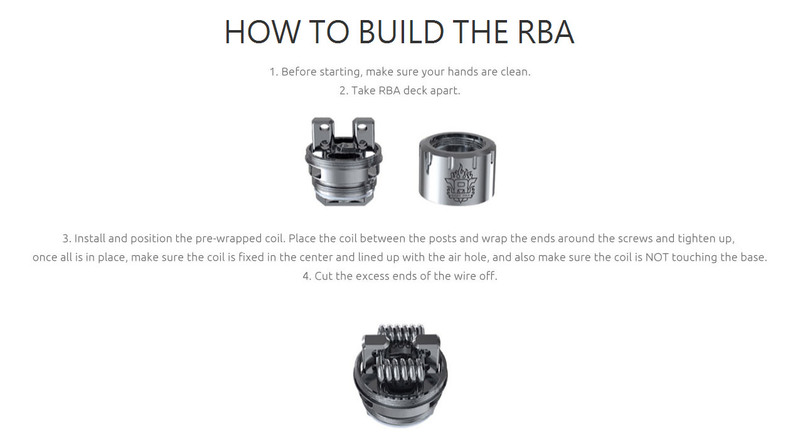 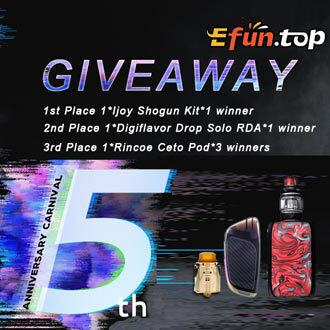 TFV8 Big Baby Light Edition is coming! 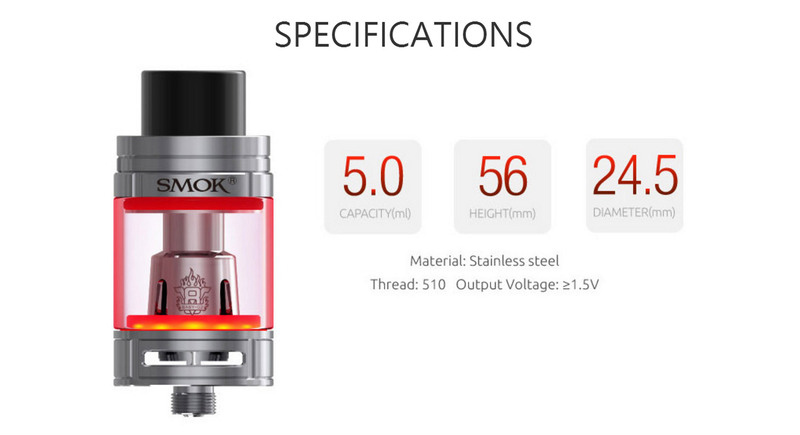 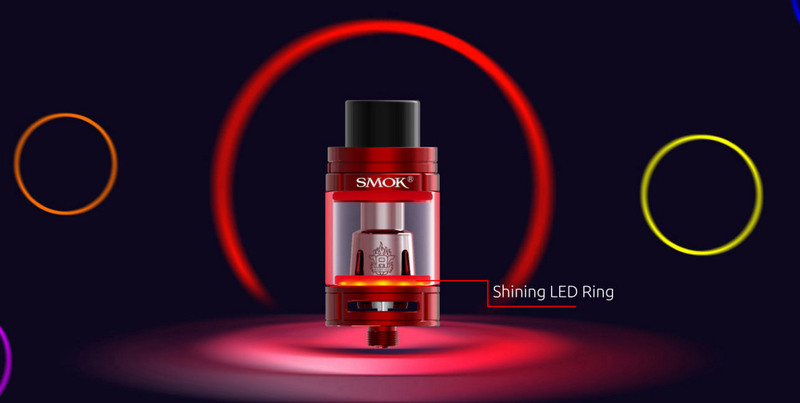 It is an advanced version of TFV8 Big Baby with colorful LED lights at the base of the tank. 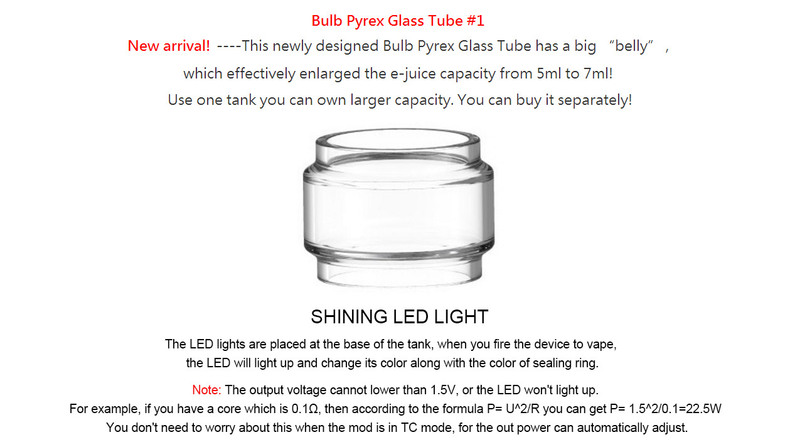 The LED will light up and change its color along with the color of sealing ring when vaping. 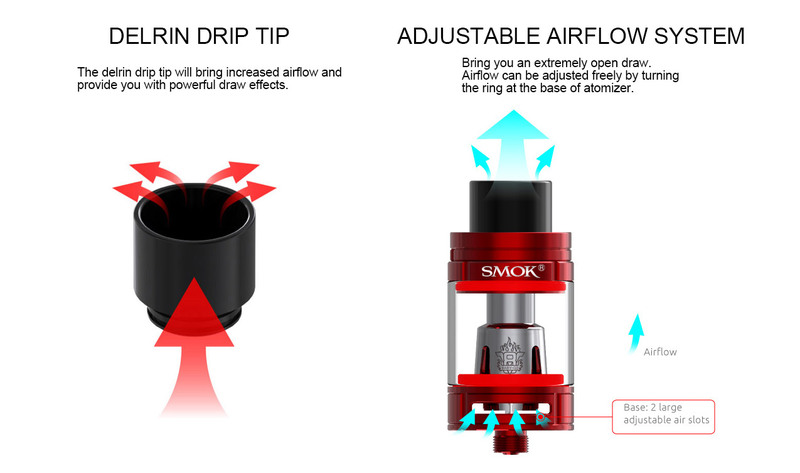 Inheriting from TFV8 Big Baby, the Light Edition also features 24.5mm diameter, 2ml/5ml e-juice capacity, easy top filling and adjustable bottom airflow control. 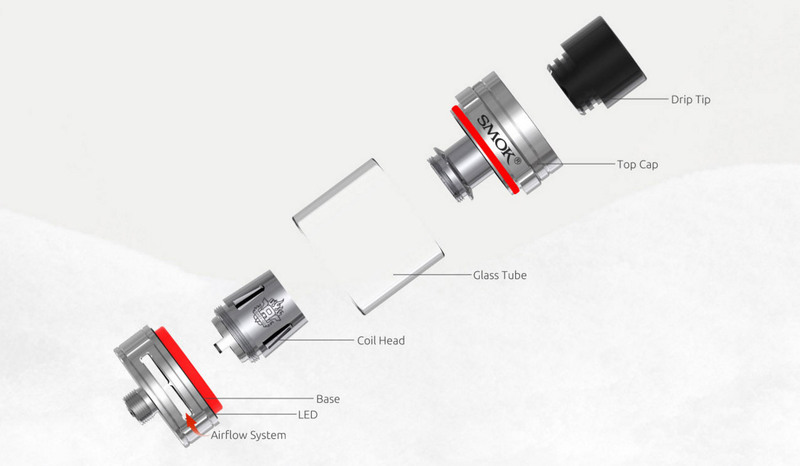 What is more, it adopts a newly designed Bulb Pyrex Glass Tube with a a big “belly”, which effectively enlarged the e-juice capacity from 5ml to 7ml. 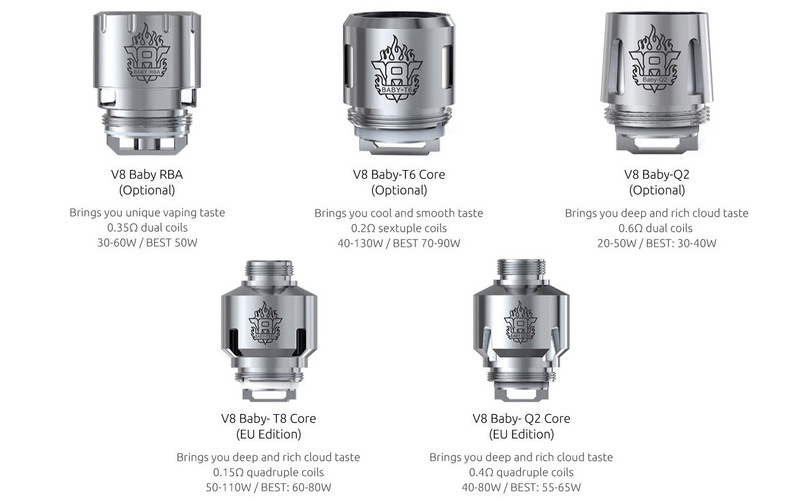 Besides, it can perfectly match with V8 Baby-X4, V8 Baby-T6, V8 Baby RBA, V8 Baby-Q2 and V8 Baby-T8 core. 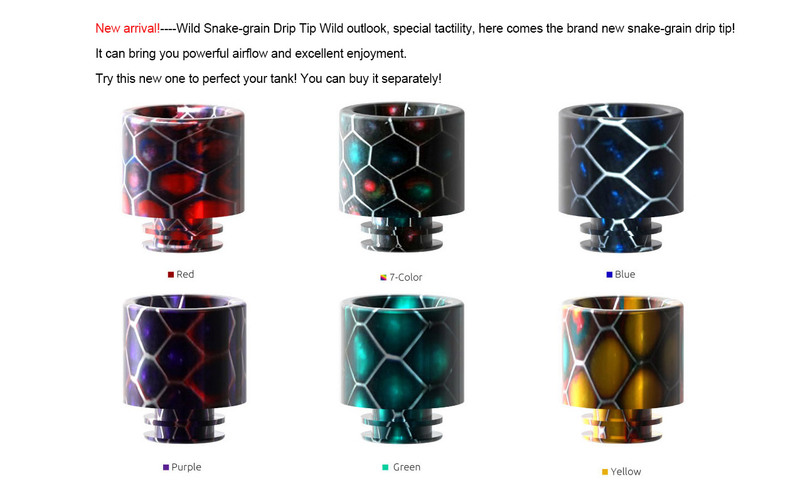 Do not hesitate, just get one to enjoy!